Conveniently near the airport in Tukwila, Knights Inn Sea Tac Airport is close to Starfire Sports Complex, Westfield Southcenter, and Museum of Flight. Additional regional attractions include Pike Place Market and Space Needle. Complimentary wireless Internet access is available in public areas. 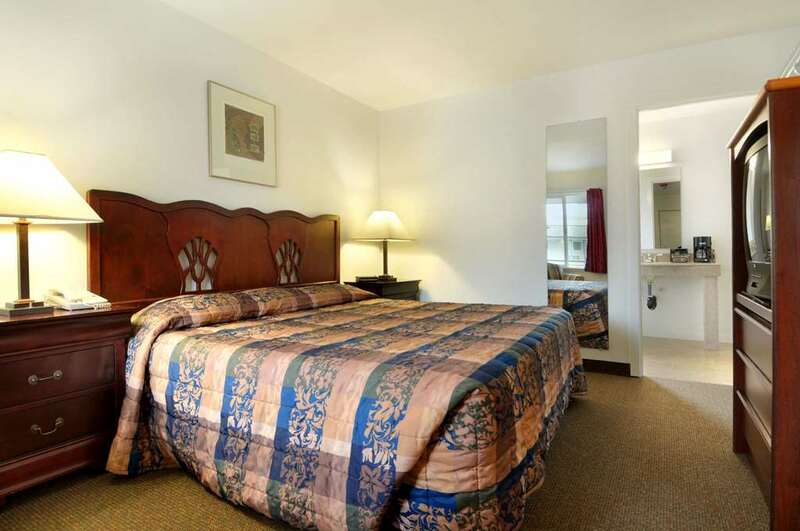 The hotel features business amenities including meeting rooms, and a meeting/conference room. Guests are provided with a complimentary coffee and tea service. Guests receive complimentary roundtrip airport shuttle -available 24 hours- and Guest parking is complimentary night they stay. Amenities in air-conditioned guestrooms at Knights Inn Sea Tac Airport include coffee/tea makers are available in all rooms. Rooms open to balconies. Televisions are equipped with premium cable channels. All accommodations provide desks and phones with voice mail. Complimentary wireless high-speed Internet access is provided. Accommodations all include separate sitting areas. Bathrooms offer shower/tub combinations, hair dryers, and complimentary toiletries. Additional amenities include windows that open and clock radios. All rooms are accessible via exterior corridors. In addition, housekeeping is offered daily and amenities available on request include microwaves. A zillion pieces of gum have been stuck to a brick wall in an alley since the early 1990s.